FromSoftware’s ninja-themed action-adventure Sekiro Shadows Die Twice will be out today on 22 March 2019 on PS4, Xbox One, and PC. 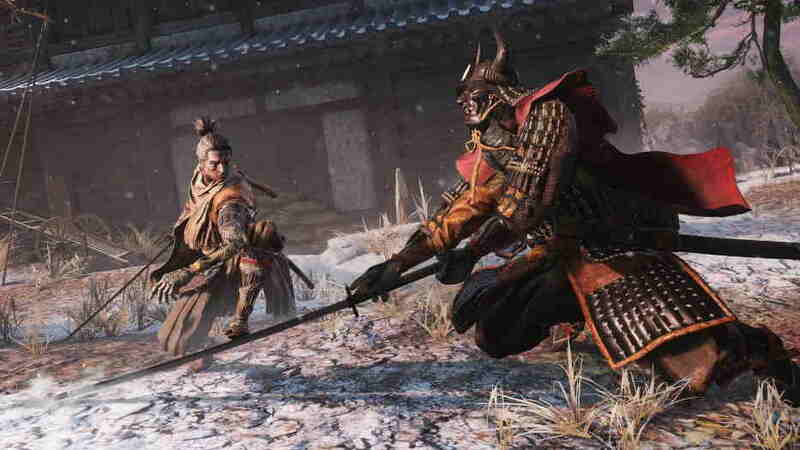 But, before you head over and play the game, Robert Conkey, Producer, Activision has brought you some of the games early tips and tricks to survive in the Sekiro Shadows Die Twice game. Before we start, Activision via PlayStation blog post also notes that Sekiro is a FromSoftware’s signature combat game, so some of the tactics that worked in their previous games might not be so effective this time around. So let’ just start. Robert advises to Deflect and mixing consecutive deflects with aggressive attacks could lead you to success in battle. If you don’t deflect, you might end up losing the winning game against tougher bosses. Robert advises that players should learn their opponent moves and deflect multiple times in rapid succession according to the opponent moves, so learning about your opponent can provide you a big advantage. The second tip is to use Mikiri, this is a counter skill that can be unlocked in the game within your first two or three skill unlocks. It prevents you from getting hit from the enemy’s weapon. Another tip to survive in the game is to Learn how to deal with all the different Perilous attacks. You can do this by finding Hanbei the Undying on the Dilapidated Temple grounds, and learning all of his training (even the stuff you think you already know). You can also unlock a “free combat” option after doing all of his training. You can even unlock advanced training options after facing the first Samurai General in Ashina Outskirts. The third tip is, if you’re getting destroyed by a boss or a midboss, don’t be afraid to leave, explore elsewhere, gain a few skills and stats and come back later. As a forth tips to survive in the game is to try new skills and make good use of the jump-kick for repositioning/interrupts and prosthetic follow-up attacks such as Chasing Slice for gap closing. These moves are said to help you to control the flow of combat. The last tip is based on your own strategies, that you apply in the game. You can make a better strategy in the game by learning and understanding better your enemy’s moves. Using the right tool at the right time could also lead you to success. If you’re traversing a stage with a lot of regular enemies in it, look to stealth engage with Bloodsmoke, get a few quick stealth kills, and then it’s all about tactics. For other tips to survive in the Sekiro Shadows Die Twice game you head over to Robert’s full tips here on the Activision’s official blog post. The Sekiro: Shadows Die Twice will be out today on PS4, PC and Xbox One. To get the full Price, Edition, Availability and System Requirements you can check out our previous post here. You can also check out the Sekiro Shadows Die Twice First 1.01 Patch Note here.